Stick Punishment is back in Schools - Something New Everyday! Corporal Punishment in Three Texan Schools! Three schools in Texas have reportedly brought back corporal punishment for students who misbehave. 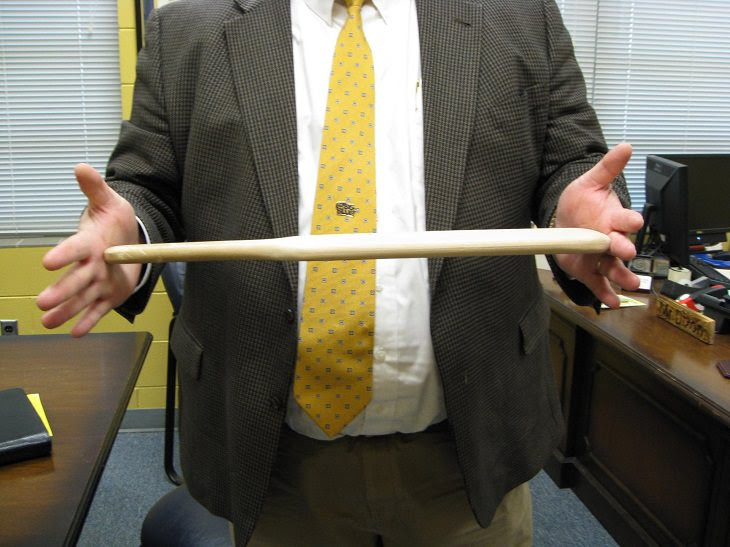 Teachers at the Three Rivers Schools district will be permitted to use wooden paddles to beat disobedient children, who will receive one paddle for each act of misbehavior. This kind of punishment is thought to teach children a lesson in obedience, with schools claiming that those paddled will be less likely to misbehave, both at school and later in life. Corporate punishment is defined by the National Association of School Psychologists as: “The intentional infliction of pain or discomfort and/or the use of physical force upon a student with the intention of causing the student to experience bodily pain so as to correct or punish the student’s behavior. In 2016, the then-US Secretary of Education, John B King Jr., wrote to state leaders calling for a ban on all corporal punishments in schools. An investigation found that around 100,00 American students receive this type of punishment in schools every year. This method of punishment is usually thought of as a rather unethical method of trying to deter children from deviating, going astray, acting up, or being immoral.